In this article, we will help you choose between Maui Jim Cliff House vs Mavericks. 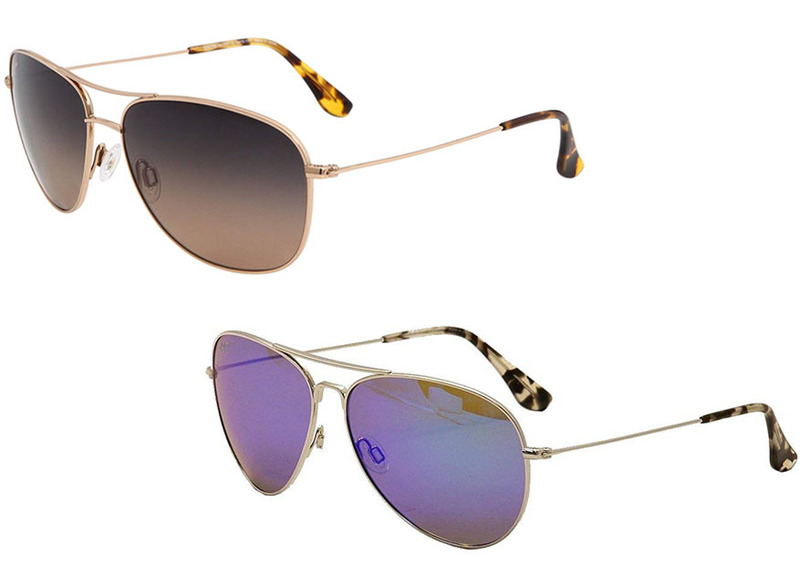 Both models are aviator-style polarized sunglasses. In a glance, they may look similar. However, they certainly aren’t identical. So, which model is better for you? The very first difference that you need to consider when choosing between Maui Jim Cliff House vs Mavericks is the fit. This is very important because, if the sunglasses don’t fit well, it will be uncomfortable to wear. If it is uncomfortable, you probably won’t like wearing it. While both models here are generally suitable for people with small to medium face sizes, they do have different shapes and dimensions. See also: Costa Zane vs Brine. Maui Jim Cliff House is the smaller one of the two. It has a modified aviator-style frame with a double-bridge design and adjustable non-slip nose pads made from silicone. The total width is 133 mm, while the bridge measures 15 mm. The total length from the front to the rear is 120 mm. Due to the smaller overall size, Maui Jim Cliff House is more suitable for people with smaller faces. It is probably too small for people with large heads. Note that it may have more parts that are in contact with your nose when worn. Maui Jim Mavericks is slightly larger. 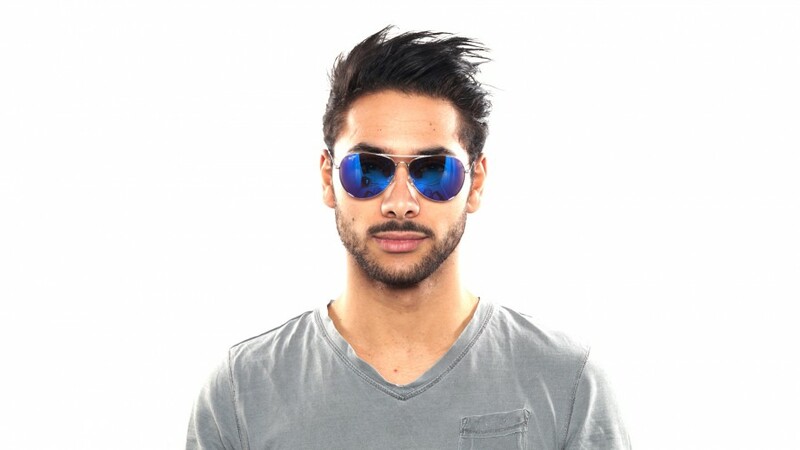 It comes with a real aviator-style frame. It also has a double-bridge design and adjustable silicone nose pads that will never slip on your nose. It has a total width of 136 mm. The bridge measures 14 mm. The arm length is about 137 mm. The slightly wider shape and longer arms make Maui Jim Mavericks a suitable choice for people with medium-sized faces. However, if your head size is particularly small, the arms may be a little bit too long. The bridge area is somewhat more streamlined, so the contact with your nose won’t be as much. Maui Jim Cliff House has a modified aviator-style shape. The lenses are not really teardrop-shaped. Instead, the lenses are more rounded. But this doesn’t mean that the lenses are larger. In fact, it is the contrary that is true. Maui Jim Cliff House’s lenses are smaller. Each lens measures 59 mm wide and 46 mm tall. This also means that the field of view is relatively smaller. The peripheral view is not very good. On the other hand, Maui Jim Mavericks has a typical aviator-style shape, so the lenses are teardrop-shaped. Thanks to this feature, it can have a stylish classic look. Many people agree that this model is good-looking. The lenses of Maui Jim Mavericks are larger. Each lens measures 61 mm wide, 49 mm tall. The field of view is noticeably wider and larger. You can have more peripheral view. This is very convenient because you can see more of your surrounding without having to turn you head. Both Maui Jim Cliff House vs Mavericks are well-built. They both use the company’s proprietary Maui Pure lens material. The company claims that this material is nearly as crisp as Super Thin Glass while being ultra-light, incredibly shatter-resistant, and highly scratch-resistant. In short, their lenses are very durable. The frames are made from similar materials. They are made from pure titanium. The material is lightweight while at the same time being incredibly tough and durable. They have a gloss finish which is smooth and gentle on the skin. As the effect, both frames are very comfortable to wear. Both frames use anti-corrosive traditional hinges. This mechanism is solid, simple, effective, and efficient. The anti-corrosive material ensures that the hinges will last for a long time without wearing or breaking down. Maui Jim Cliff House has three standard colors, which are Blue Hawaii, Neutral Grey, and HCL Bronze. These color choices are usually available on the stock, so you don’t need to order for any customization. Blue Hawaii and Neutral Grey are both suitable for bright conditions and direct sunlight; the blue one tends to be cooler, while the gray one offers the highest contrast. HCL Bronze also offers great contrast while giving a warm tint, and is suitable for everyday use. On the other hand, Maui Jim Mavericks has four standard colors, which are Blue Hawaii, Neutral Grey, HCL Bronze, and Maui Sunrise. As you can see, three of them are similar to the ones provided by Maui Jim Cliff House. Meanwhile, the Maui Sunrise color offers color enhancement while giving a pink tint, suitable for fast-action activities. Both Maui Jim Cliff House and Maui Jim Mavericks are available for customization via My Maui on the official website. On My Maui, you can choose the frame color, lens color, and lens magnification for readers. However, the customization for Maui Jim Cliff House only provides two frame color options, which are silver and gold. The customization for Maui Jim Mavericks provides three frame color options, which include silver, gold, and rose gold. Nevertheless, the lens color options are similar. There are six options for the lens color, including Blue Hawaii, Neutral Grey, HCL Bronze, Maui HT, Maui Rose, and Maui Sunrise. So, if you are not interested in the standard options, you can customize your sunglasses with another lens color here. If you need reading glasses, you can also ask the lenses to come with certain magnification. There are three options for readers, which are +1.50, +2.00, and +2.50. All in all, Maui Jim Mavericks is generally more recommended. This model has an aviator-style frame that is classic and stylish. It has larger lenses, so the field of view is wider. It is also available in more color options. The build quality is very good; both the lenses and the frame are very durable.